A quick jaunt outside this week, in the deep snow and bitter cold temperatures, would have made it hard to imagine that winter is anywhere near “over”. But, when it comes to birding the “official” winter season ended on February 28. That being said, I’m pretty sure asking any Newfoundland birder if they enjoyed the first few days of “spring birding” this past week, I’d get a good smack in the face. One thing that is certain is that this has been a tough winter. Winter weather descended on us early, hitting us with prolonged cold temperatures and record snow cover in December. Early January was characterized by heavy winds and bitter temperatures brought on by the polar vortex that gripped much of North America. There was virtually no open fresh water anywhere in the province and any birds unaccustomed to arctic climates must have been finding it tough to survive. Mid-January brought an unexpected (but somewhat welcome) reprieve – warm temperatures and plenty of rain washed away most of the snow and opened up a lot of water. Colder temperatures and abundant snow returned in not time flat, predominating February. In fact, Newfoundland did not experience three straight days without precipitation during the entire season! 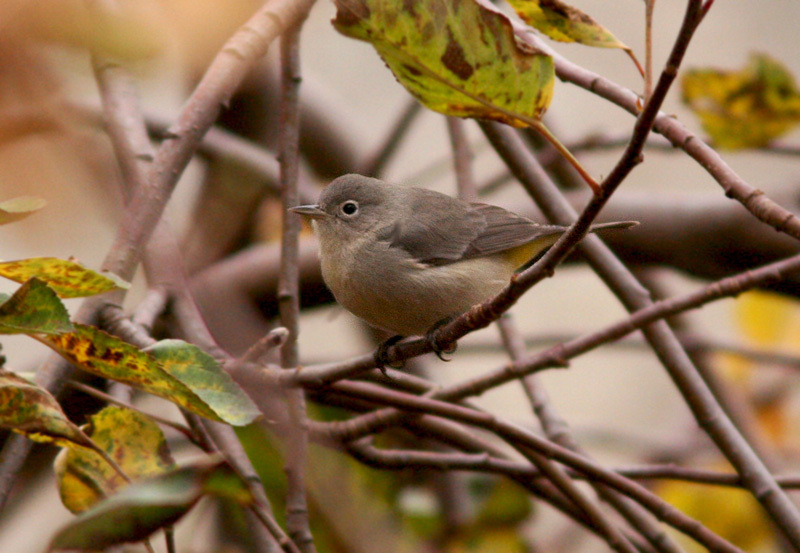 – Newfoundland’s first Virginia’s Warbler hung on for the first few days of December, just making it to the winter list! – A Forster’s Tern in Renews in early December was just the 7th record for the province. – Two Purple Gallinules were discovered (unfortunately dead) – Clarenville in December and McCallum in January. As part of a notable movement into the North Atlantic this winter, how many went undetected? – Yellow-legged Gull returned to St. John’s after an absence of almost two years … and after being elusive for most of the season it became surprisingly reliable for the last week of February. 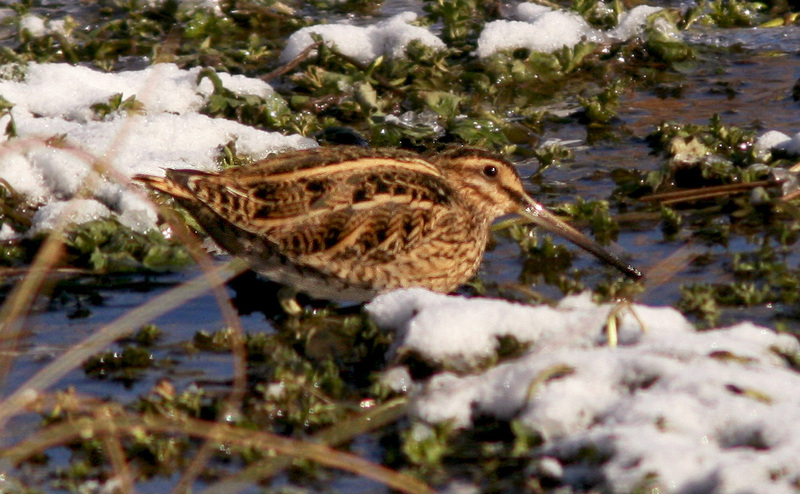 – A mega-rare Common Snipe was discovered in Ferryland in mid-January, sticking around for weeks and providing excellent comparisons with Wilson’s Snipe. 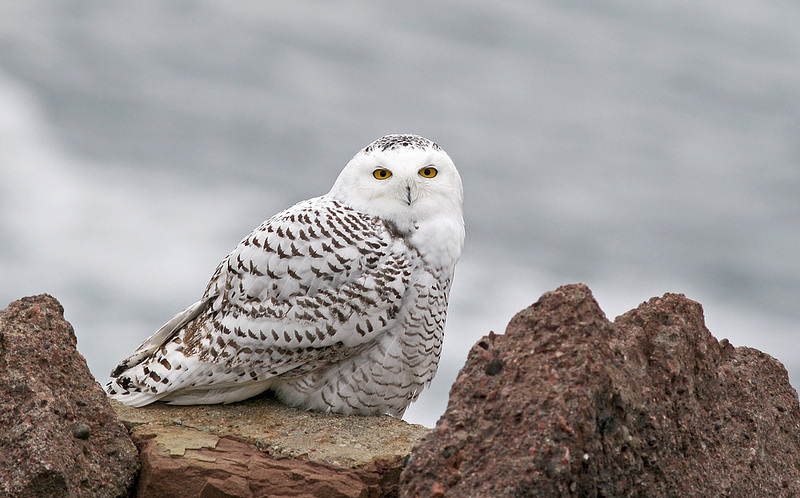 – And of course, the Snowy Owl invasion that made headlines not only here but across much of North America. And now I’m looking forward — not just to spring but to a more immediate escape from this long long winter. I leave for Hawaii in just a few hours!! I won’t likely be updating the blog during the next two weeks, but expect plenty when I get back!! !